Sifan was brought up to focus on studying and qualifications, yet growing up in Tottenham made him aware of the social issues caused by deprivation. He saw first-hand how many young people had no positive role models, and consequently how they had never been taught to aspire to greater things. 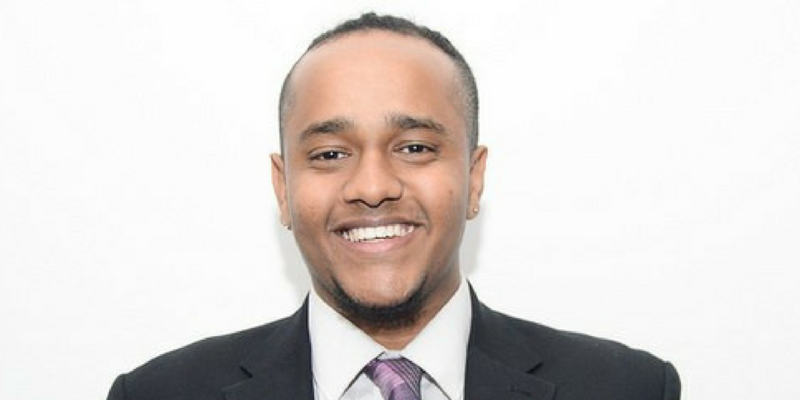 His own family had instilled in him the importance of helping others, so Sifan became motivated to make a positive impact and help combat the issues caused by poverty. After graduating with a degree in Sociology, he struggled to find his way into a career path that let him fulfil his passion for helping people. He heard about Making The Leap through his job centre, and came along to the workshop. At first he was sceptical, but after the first week he started to understand what it was trying to build in people. Though he already felt confident, he realised Making The Leap was moulding his confidence in the professional sense – packaging it so that he would be employable. He felt like it brought the best in people, and enjoyed the community aspect of being in a group with others in the same position, igniting each other’s motivation. He also found the interview training incredibly valuable: it later helped him to secure a role as a Teaching Assistant in an East London primary school, where he wants to be a positive influence on the children’s lives and inspiring them to find careers one day that makes use of their passion. ‘Making The Leap got me in shape for everything I wanted to do. If it wasn’t for Making The Leap, a lot of us would be stuck in the same place. I talk to the guys from my workshop and everyone’s going on to different things. It’s about the knowledge, from how to get from here to there. A lot of kids my age would think, ‘I’m not going to go to that’, but the idea of thinking long term is not something widely known or even talked about.